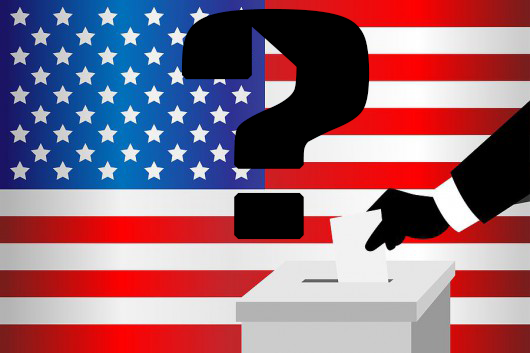 Should True Believers Be Involved With Politics? As our modern times get ever increasingly troubled, we see a disheartening trend among government, and more specifically with politicians. It is no secret what this trend is, it has been happening since ancient Biblical times. So desensitized is our culture to this issue we (the world) continue, over and over, to elect the most corrupt of men and women into government. Why does this culture make such a majority of bad decision making? It is in the way the voters live that makes them inept at placing someone into government who can fit a moral and ethical mold. How is it that a voter who lives a Biblically-lawless life (churchianity), or more fittingly, a voter who has abstained from keeping Yahweh’s Laws expected to have the wisdom, knowledge and understanding to vote properly? Making an educated guess on the lesser of two evils seems to be the more apt description of what today’s voters accomplish by placing their check mark besides someone’s name. Some, in our own faith, have added their thoughts on this subject to the side of being involved with the political process, but what does the Bible teach we should do? Deu 17:11 According to the sentence of the law which they shall teach thee, and according to the judgment which they shall tell thee, thou shalt do: thou shalt not decline from the sentence which they shall show thee, to the right hand, nor to the left. Deu 17:12 And the man that will do presumptuously, and will not hearken unto the priest that standeth to minister there before Yahweh thy Elohim, or unto the judge, even that man shall die: and thou shalt put away the evil from Israel. Deu 17:13 And all the people shall hear, and fear, and do no more presumptuously. Deu 17:15 Thou shalt in any wise set him king over thee, whom Yahweh thy Elohim shall choose: one from among thy brethren shalt thou set king over thee: thou mayest not set a stranger over thee, which is not thy brother. One could infer from these Scriptures that whether it be a priest (Levites), judge (Judges), or king, that they must come from one of Yahweh’s own. From the passage above I think we have a clear definition of who might qualify to serve over us in a authoritarian role, remember that the kings over Israel were placed for the position of judgment of civil affairs. Much like the politicians of today are appointed over the people as civil leadership. Our president and state governors and mayors, act as types of kings and rulers. 1Sa 8:6 But the thing displeased Samuel, when they said, Give us a king to judge us. And Samuel prayed unto Yahweh. 1Sa 8:7 And Yahweh said unto Samuel, Hearken unto the voice of the people in all that they say unto thee: for they have not rejected thee, but they have rejected me, that I should not reign over them. 1Sa 8:8 According to all the works which they have done since the day that I brought them up out of Egypt even unto this day, wherewith they have forsaken me, and served other mighty ones, so do they also unto thee. 1Sa 8:9 Now therefore hearken unto their voice: howbeit yet protest solemnly unto them, and show them the manner of the king that shall reign over them. 1Sa 8:10 And Samuel told all the words of Yahweh unto the people that asked of him a king. 1Sa 8:18 And ye shall cry out in that day because of your king which ye shall have chosen you; and Yahweh will not hear you in that day. 1Sa 8:21 And Samuel heard all the words of the people, and he rehearsed them in the ears of Yahweh. 1Sa 8:22 And Yahweh said to Samuel, Hearken unto their voice, and make them a king. And Samuel said unto the men of Israel, Go ye every man unto his city. As Israel went on through the ages the kings were mostly bad especially over the ten tribes. The kings over Judah, however, were some good but there were several evil as well. 3. Solomon, mostly good but also made bad choices concerning women and worship. So we’ve had many OT examples of civil leaders, mostly bad leaders. Also remember how bad decision making by the civil leaders also proved detrimental to the religious aspect of society for many reasons. Bad kings appointed bad priests, bad priests were an abomination to the Temple and as a result an offence to Yahweh. In Yahshua’s time things did not seem any better. Thousands of years of bad civil and religious leadership had finally come to a head when Yahshua appears on the scene to usher in a new way of living, taken from the commandments of old. Herod, the Sanhedrin, Pharisees and Sadducees, all comprised civil and religious leadership during Messiah’s time on earth. Herod, puppet king over the land, most likely appointed by his Roman masters, is a classic example of cruel misguided leadership. Although he was probably not voted in or appointed by other Israelites his presence as a secular governor gives us more to think about when gathering Biblical evidence for politicians in this age. The Sanhedrin, a religious governing body, most likely made up of priests from various religious sects. They may have been voted or appointed by their respective sect to serve on a board of “judges”. The chief priest of the temple is said to have served on this board. The Sanhedrin of Yahshua’s time was instrumental in condemning our Messiah to His eventual impalement. They wanted Him killed but because they didn’t have the power to sentence one to death they influenced Pontius Pilate to execute mortal judgment. They played the politics of the day by manipulating the Roman system of government. Sly politicians they were, perfect for this present day and age of corrupt men in government. Who may manipulate this U.S./Roman style of government to persecute us? 1Pe 2:17 Honour all men. Love the brotherhood. Fear Elohim. Honour the king. Yahweh’s hand is raising up the authority, so why should we worry about whom he places as our next president? Isa 9:6 For unto us a child is born, unto us a son is given: and the government shall be upon his shoulder: and his name shall be called Wonderful, Counsellor, The mighty El, The everlasting Father, The Prince of Peace. Isa 9:7 Of the increase of his government and peace there shall be no end, upon the throne of David, and upon his kingdom, to order it, and to establish it with judgment and with justice from henceforth even for ever. The zeal of Yahweh of hosts will perform this. Take comfort in knowing no matter how many corrupt politicians (and governmental policies) we need to endure (maybe to our persecution) in our daily lives, Yahweh is in control allowing them to do what they do for a reason, and that ultimately accomplishes His will for them and us. This may be difficult for us to see now, as human as we are, but through prayer, fasting, and reflection maybe we will gain a spiritual understanding to Yahweh’s plan.